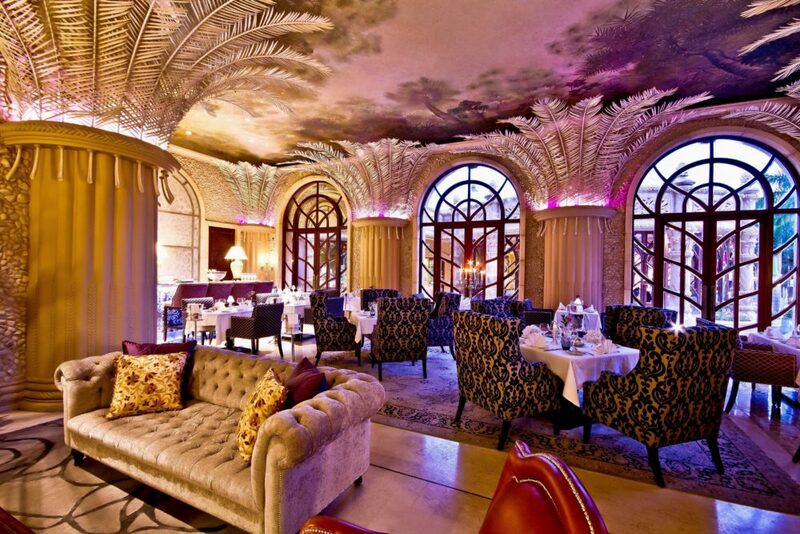 Our favourite Sun City restaurant, Plume, got a makeover… and it’s fit for a palace. The re-imagining of The Palace’s chic-classic restaurant is now complete. Influenced by the social, café culture of South Africa’s famous cosmopolitan restaurant hubs where the emphasis is on the experience, Plume’s new menu invites the exploration of diverse textures and indigenous flavours paired with exciting, proudly South African wines. Created by an award-winning sommelier, Marie Manyoha and Executive Sous Chef Robin Brophy, guests journey a tantalising six stage meal designed to entice all of the senses. The wines offered for pairing with each stage have been carefully picked by Manyoha to compliment the explosion of textures, flavours and aromas of the food. The Plume Textures menu is a set experience, starting with an Amuse Bouche, fittingly called “Camps Bay Holiday”, comprising beetroot and cream cheese espume, ethically sourced caviar on Mother of Pearl, seawater gel, tomato soil and flavour scallops. For starters there is “Textures Corn ‘Salad’”, a delightful surprise consisting of panna cotta dust that has been gellified, popped and grilled. The first main course is olive poached salmon served with balsamic jelly, salmon confit, pea puree and crisp sweet potato scales. This provides an uplifting prelude to the second main course of succulent ribeye log, potato puree, rainbow root vegetables and “Turkish delights”. The invigorating meander of tastes and textures continues with decadent and strawberry, mango and salted chocolate, before culminating with port and cheese. Plume is open on weekends 19h30 for the textures experience, with one sitting per evening starting strictly at 20h00. The first main course is served at 20h30 and the second main course is served at 21h30. The cost per person is R1250 per person and includes the sumptuous food journey. Venturing to Plume for dinner is also an opportunity to dress accordingly for the experience. The dress code is smart / elegant and no jeans, sneakers or flip flops are permitted. Regrettably no children under the age of 12 years old are allowed. Legends is a trendy grill house that pays tribute to the icons who have graced Sun City since 1979. The Brew Monkey is a gastro pub with a decidedly rustic microbrewery feel with handpicked craft beers and milkshakes. Bocado, situated at Cascades pool deck, pays homage to the rich culinary traditions of the Mediterranean, giving food enthusiasts a chance to try classic and contemporary dishes. The Luma Bar and Lounge at Cascade is overlooking the hotel’s sparkling pool and lush gardens, incorporates a restaurant on a deck and an indoor lounge. The menu features a selection of light meals and delicious cocktails which guests can savour el fresco under the warm African skies.